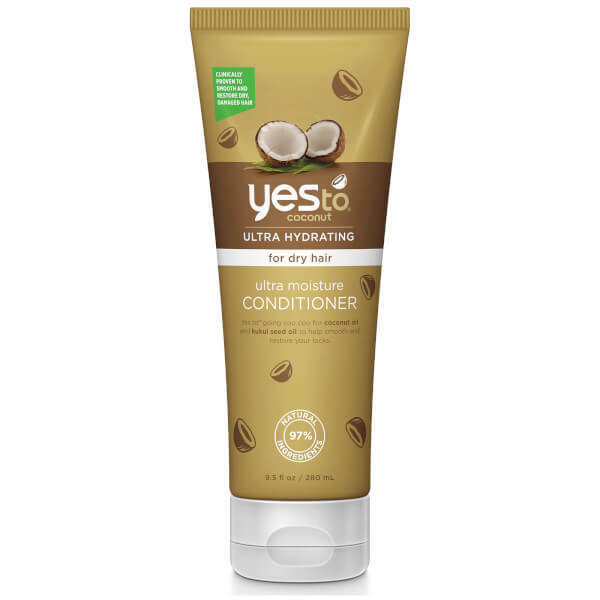 Treat dry, damaged hair to the Yes To Coconut Ultra Moisture Conditioner; a deeply hydrating formula that infuses strands with moisture and shine. Harnessing the powers of Virgin Coconut Oil, the replenishing conditioner restores and repairs hair, whilst Kukui Seed Oil softens and smoothens from root to tip. Paraben, phthalate and cruelty free. 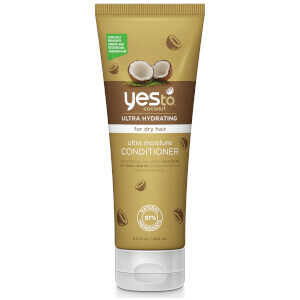 After shampooing, take a dollop of conditioner and massage through hair. Rinse. Water (Aqua), Cetearyl Alcohol, Glycerin, Behentrimonium Chloride, Cetyl Esters, Cocos Nucifera (Coconut) Oil, Argania Spinosa Kernel Oil*, Aleurites Moluccana Seed Oil, Morinda Citrifolia Fruit Extract, Hibiscus Sabdariffa Flower Extract, Orchis Mascula Flower Extract, Aleurites Moluccana Seed Extract, Psidium Guajava Fruit Extract, Musa Sapientum (Banana) Fruit Extract, Citrus Grandis (Grapefruit) Seed Extract, Ascorbic Acid, Polyquarternium-10, Phospholipids, Glycine Soja (Soybean) Oil, Guar Hydroxypropyltrimonium Chloride, Citric Acid, Potassium Sorbate, Sodium Benzoate, Phenoxyethanol, Fragrance (Parfum), Courmarin. *Certified Organic Ingredient.